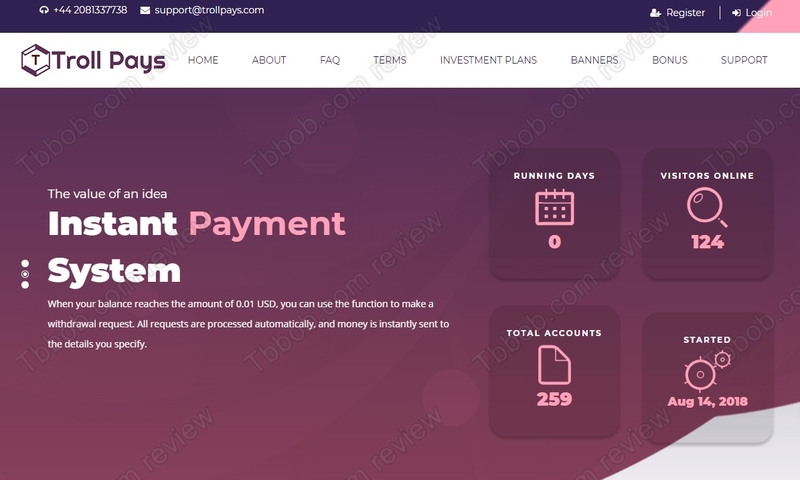 Read this review to understand why Troll Pays is a scam destined to fail. 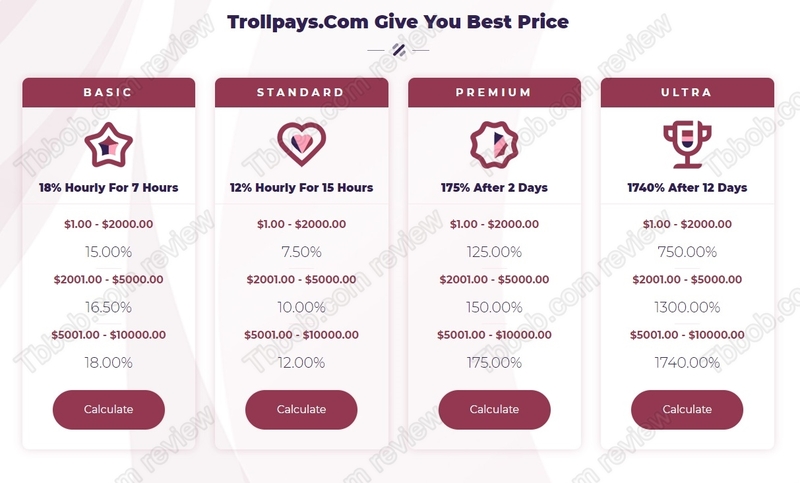 Troll Pays Trading is supposed to be a professional investment corporation that makes money in financial trading. 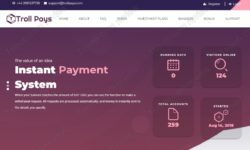 It offers several investment plans, for example the Premium one should get you 37.5% net per day, which means 1125% per month. Is it possible? Everybody should know that 1125% per month is something impossible for any legit business. If it was, we all would be millionaires already. The truth is that such numbers can be only seen with Ponzi schemes, which are scams. These illegal financial games collect deposits and redistribute these deposits via payouts. But such a scheme of course only works while there is more money being deposited than withdrawn, which usually doesn’t last long. These scams always fail in the end, most of the times very quickly. 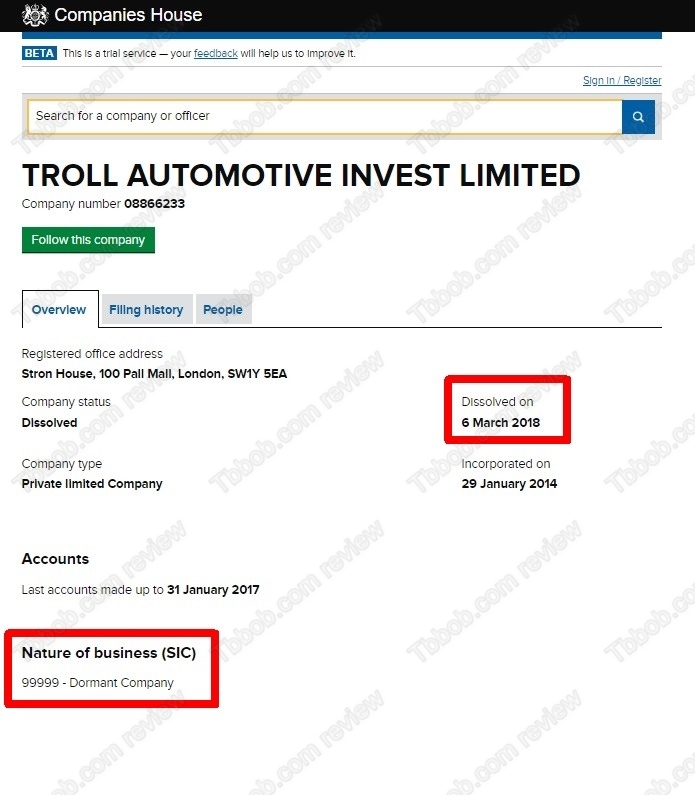 Troll Pays claims to be a licensed company in the UK, but it is not. As you can see on our picture, it is linking to a registration of a dissolved company. 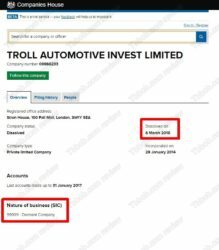 Besides, to offer investment services you need a licence from the FCA and Troll Pays of course doesn’t have it. 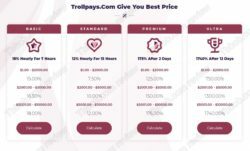 Troll Pays is a scam that will quickly die because it is a Ponzi scheme with absurd plans. Stay away from it. If you want to see what profits a possible in genuine financial trading, try a free demo with a regulated broker. Also, remember that in trading you can make, but also lose money, so be careful.